The best part of the day is still that moment when you finish work. In order to truly ring in this occasion in style, we have put together a list of the five best after-work drinks with espresso for you. The real challenge with these drinks? Deciding which one you’re going to start with. Five exceptional drinks, each one inspired by our Agent’s Choice – home-time doesn’t get much more tasty than this. In case you’re still not quite sure which drink you should start off your evening with, we are here to give you some royal support in your decision making. 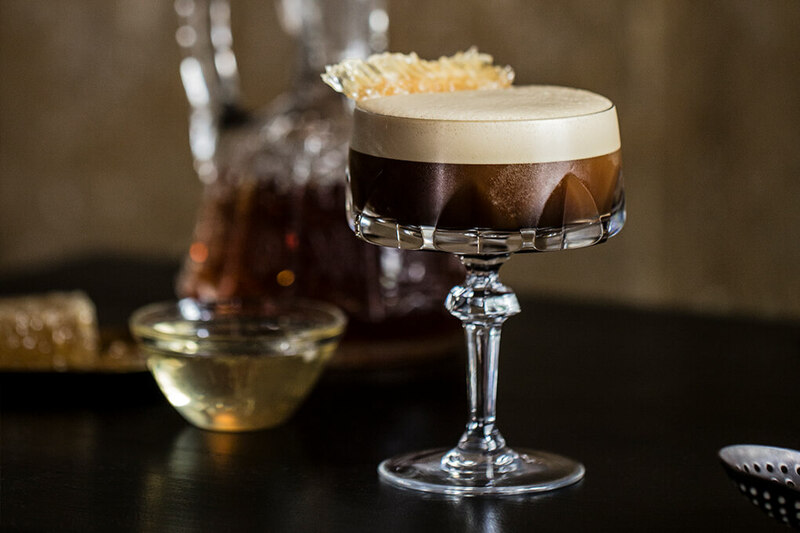 This twist on the Irish coffee lends the classic a fresh, not to say golden, coat of paint. A home-made honey syrup perfectly complements our Agent’s Choice and a good whisky. Full of golden promise, the Bear and the Bee beckons from the end of your working day! Vermouth meets espresso vodka meets orange liqueur: this bittersweet love affair turns out to be a stylish take on the martini, the king of aperitifs. 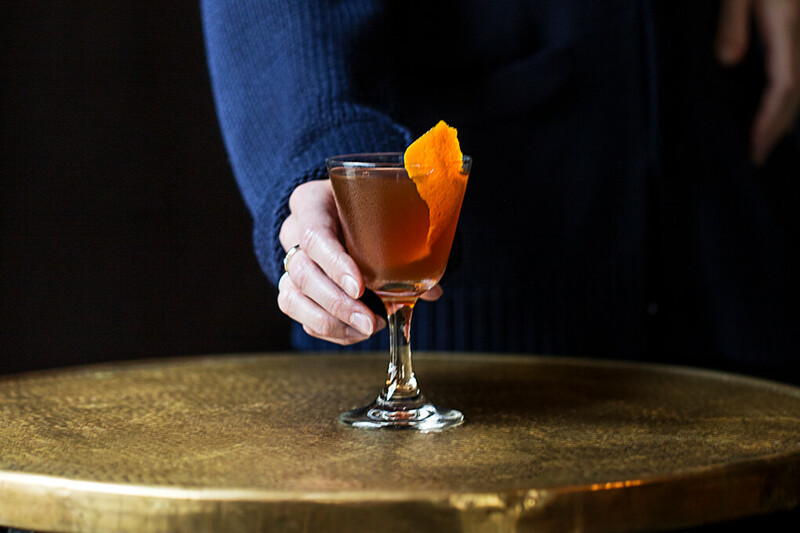 It takes only a few steps to mix this drink with its orange notes – and even fewer to enjoy it. Our Rosy Mary presents itself gallantly and with rosy colouring. Home-made espresso-rhubarb liqueur, some mineral water, and lemon juice combine to make a refreshing mix. 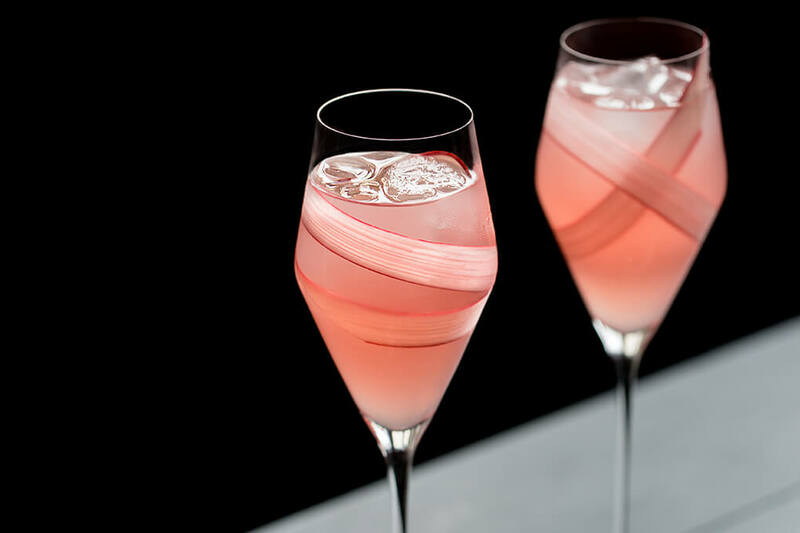 Not just the right choice for an after-work drink in spring. 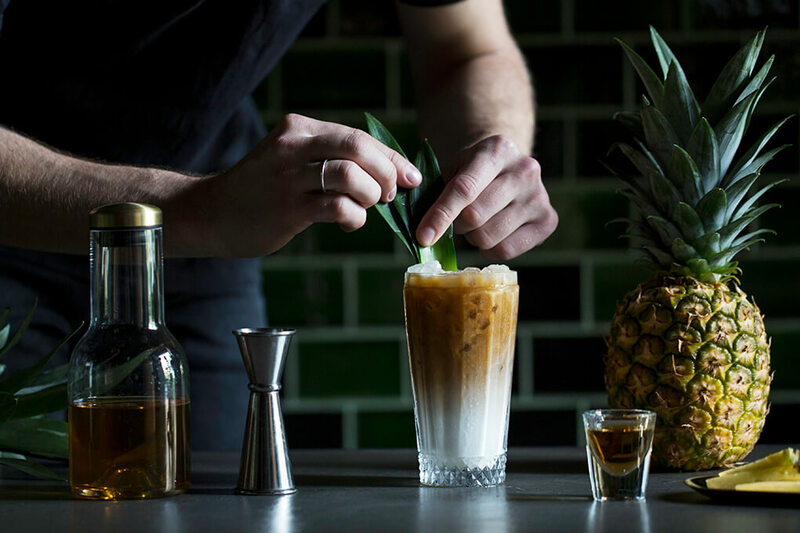 This fruity drink takes you back to your sweetest summer moments: our pineapple downer is a refreshing iced coffee with rum and pineapple. Our exotic offering of an after-work drink is the perfect choice for all those who love to celebrate the sunset with dignity. Do you prefer to ring in the end of your working day in a sweeter manner? Then we recommend our Along the Limmat! 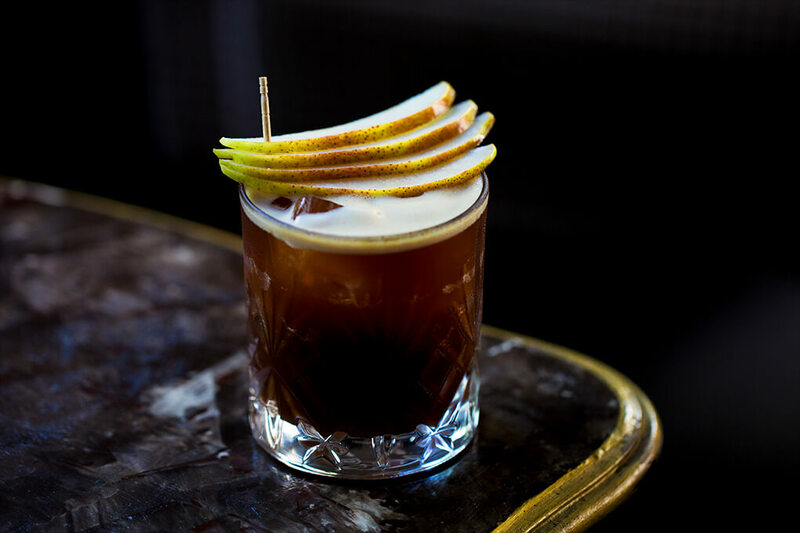 Amaretto, home-made pear syrup, vodka, and our Agent’s Choice lend this drink a fruity sweetness with aromatic espresso notes. Fruité, sucré, frais ou doux-amer: c’est à vous de décider quel goût vous souhaitez donner à votre afterwork. Et nous vous offrons la recette adaptée. Whether fruity, sweet, fresh or bittersweet: you decide how the end of your working day tastes, while we provide the perfect recipe.